PREPARATIONS for my EXPLORE INDIA WINTER RIDE, 2012-13. 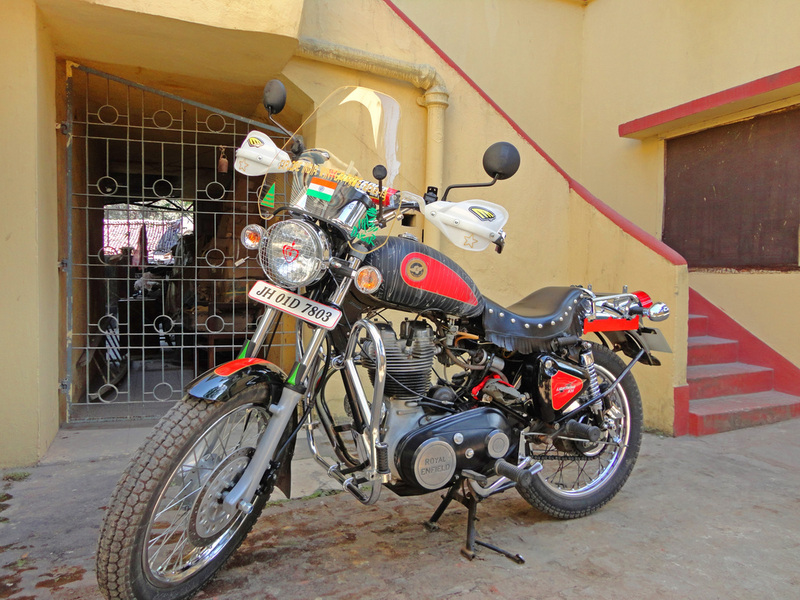 PINGUA RIDES => Achievable Dream: INDIA on a BULLET ! Home: True Blue Vagabond ! ITINERARY for my EXPLORE INDIA WINTER RIDE, 2012-13. Leg 1 of Explore India Winter Ride, 2012-13. Leg 2 of Explore India Winter Ride, 2012-13. Leg 3-9 of Explore India Winter Ride, 2012-13. 19" rear wheel from 0 to 40psi in less than 4minutes. Life rolls without fuel... just steer it ! True Blue Riding began for me as an annual to-n-fro (2500Kms) summer-ride between my home town Ranchi and New Delhi. It was an annual affair for 6 consecutive years. This December'12 and Jan-Feb'13, I would be crossing 12000+Kms (Edit on 20thFeb'13: 15000Kms... second Edit on 23July'13 after completing this ride: 22,600 Kms) across the breadth&length of India... would try my best to keep this page updated as well as my Google+ account during my Explore India Winter Ride, 2012-13.
with my 1986 model Royal Enfield STD 350. 1986 model Royal Enfield STD 350. 2002 model RE Lightning 535 stock condition cruiser with 70,000Kms on the Odo. I revamped Him to my taste and need: Adventure/Enduro DS Motorbike. 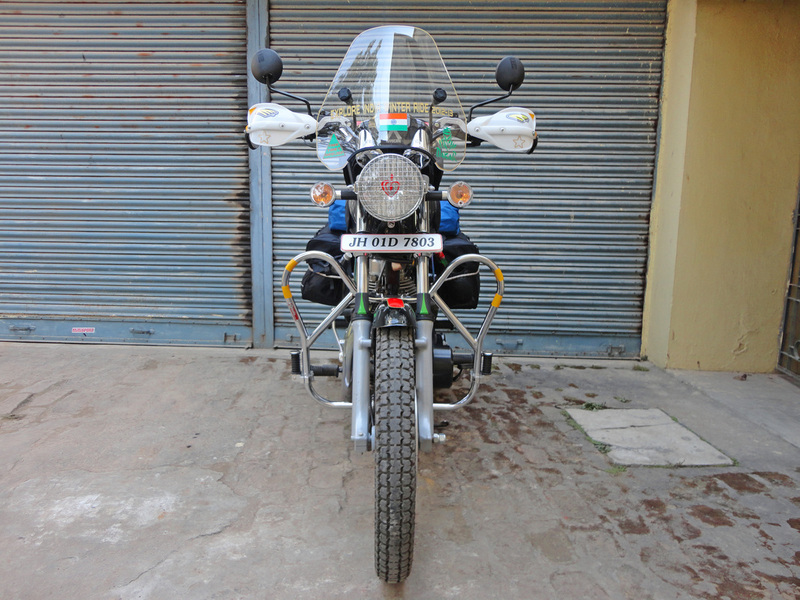 Mods done on rear mud-guard, brake-light set & pillion seat replaced with my custom made chrome-carrier. Utility-accessories: Protaper high rise Rally handle-bar, handle-bar risers 1" , Cycra crm probend Handguards, headlamp-grill, sump/engine guard, Goldie: free-flow rally exhaust pipe, K&N free-flow air filter + carb rejetting done. and yes that stripy thing of the fuel tank is the adhesive-free tape to protect the gloss of paint when I put on the magnetic tank-bag. I replaced the bulky conventional battery & its metal cover with a small UPS battery usually used in computers. Mikuni VM carburetor tuning manual. My love - dream - message - my chariot ! Space available after removing the air-filter box & battery+cover set: 5Kgs tool kit wrapped in waterproof abrasion resistant custom made tool bag takes up the vacant space. Comfort accessory: foot-pegs on the crash-bar for extending legs on straight highway stretches. It is a well know fact that lower the centre of gravity on a motorbike, more stable would the bike be & help the rider regain and correct balance at the earliest in the event of disbalance due to wheel-spin or while taking a speedy turn on dirt. 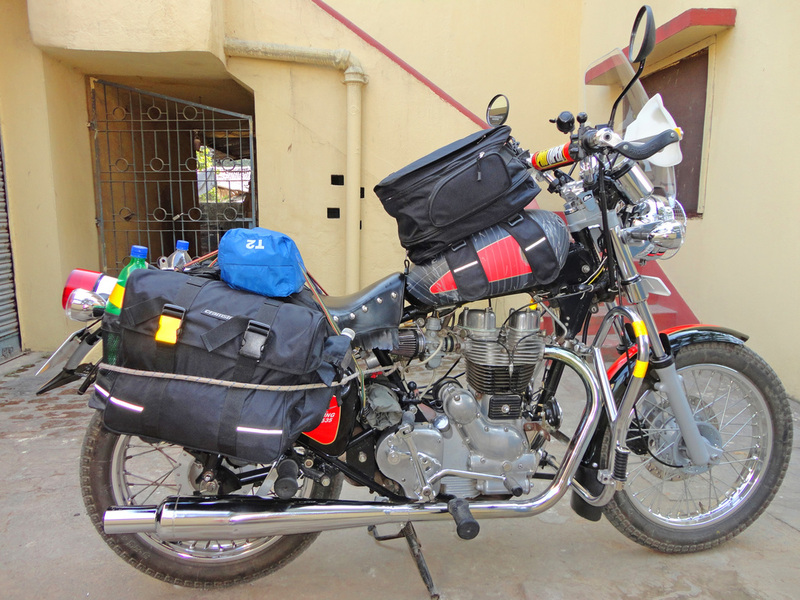 I make it a point to pack and store the heavier items (tools, metal-spares, packed food, etc) at the Centre + Lowest position of the motorbike. 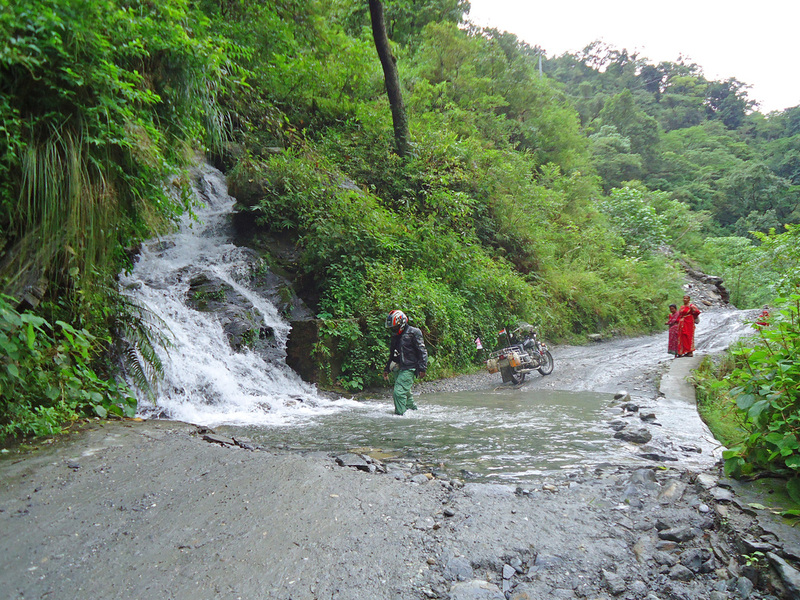 I've never been an advocate of top-box or a heavy luggage-bag strapped on the pillion-seat. The rear-carrier or top-box location should be used to place the lighter items like tent, sleeping-bag & mat which do not constitute weight over 6Kgs. For an Enfield my personal experience states that big-metal-luggage-carriers like 'Ladakh-carrier' are not beneficial for the Enfield on the long run. 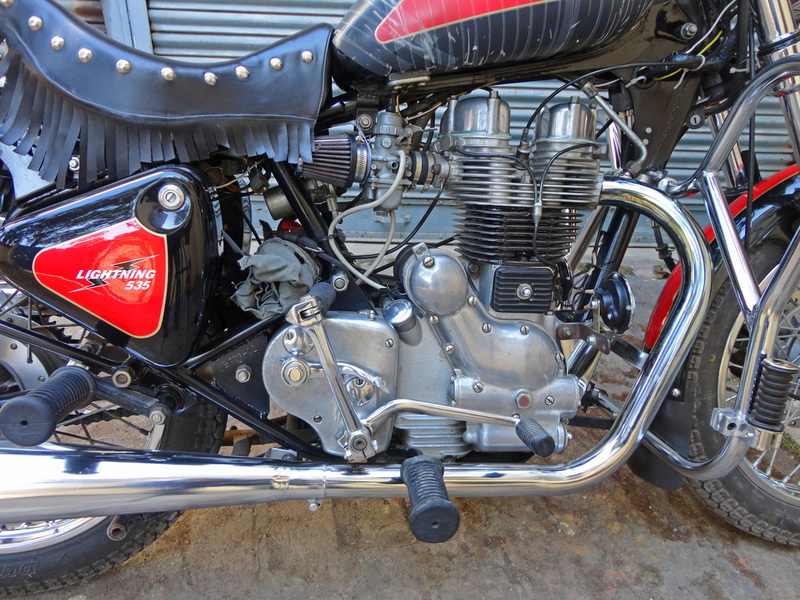 It lowers the Power to Weight Ratio of the Enfield to pity level in the ever scarce power hungry inclines of higher altitudes! I prefer throw-over saddle-bags (which have straps designed to strap&tighten your tent & sleeping bag + you can carry upto 5Litres of fuel in three cold-drink bottles and put them in the sacks pre-designed to carry bottles at the rear)& magnetic tank-bag (fill it with items and accessories you would be using through the day: camera, towel, eatables, hat, extra-gloves, rain-gear, etc) ... these are the two of the three luggage bags that I would be using during my 3months --> 12000+Kms ride across the breadth&length of India. I have used 5 bungee-elastic-cords to tighten the tent & saddle-bag... am carrying 6 additional as back-up in addition to 100feet para-cord + 20mtrs of nylon rope. An Adv Rider can run his denim-jeans week long, doesn't carry any clothes instead collects souvenir t-shirts along the highway and locations he/she crosses ! I have a set of clothes on my body, another in the baggage, nothing more !! My Minimalist Packed & Loaded Luggage. 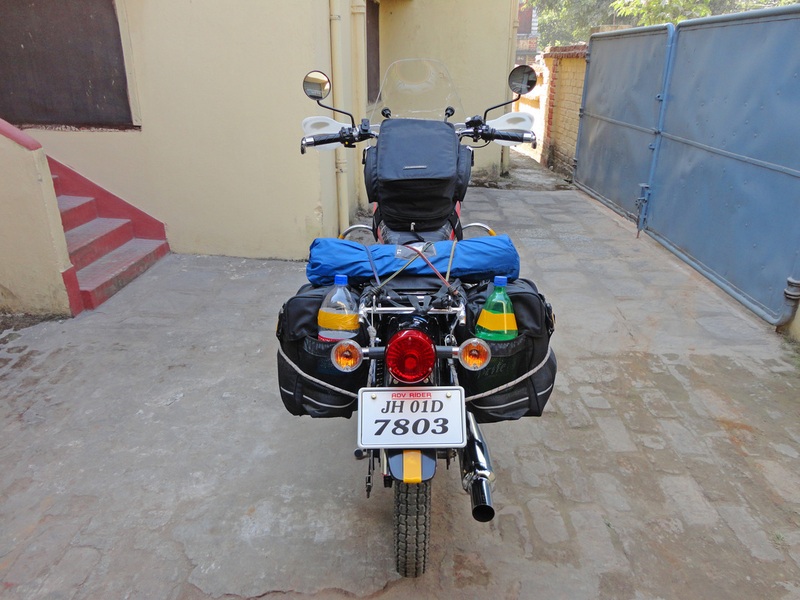 In the pics below I have stored the heavier items in the saddle-bags as low & center of the motorbike as possible. 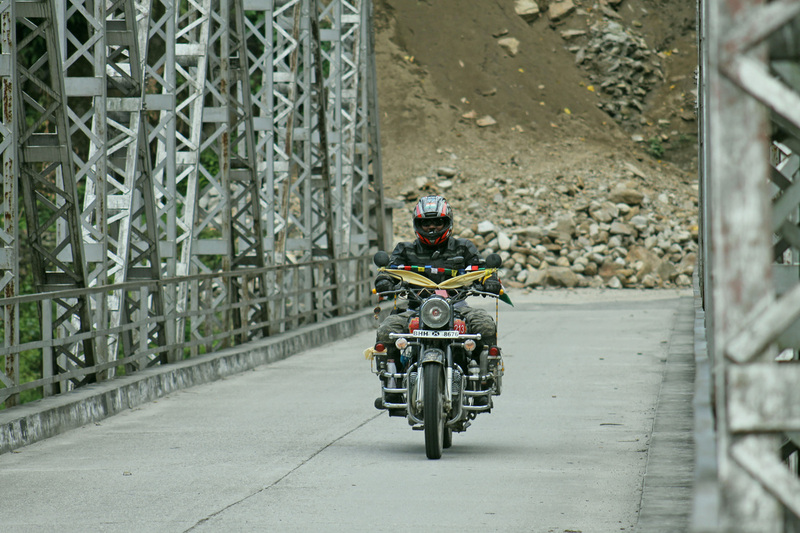 => You can notice that the throw-over saddle-bags have been placed forward than their normal position (pillion seat), around 8" forward towards the rider. This helps in keeping the weight of the saddle-bags close to the center of gravity of the motorbike. 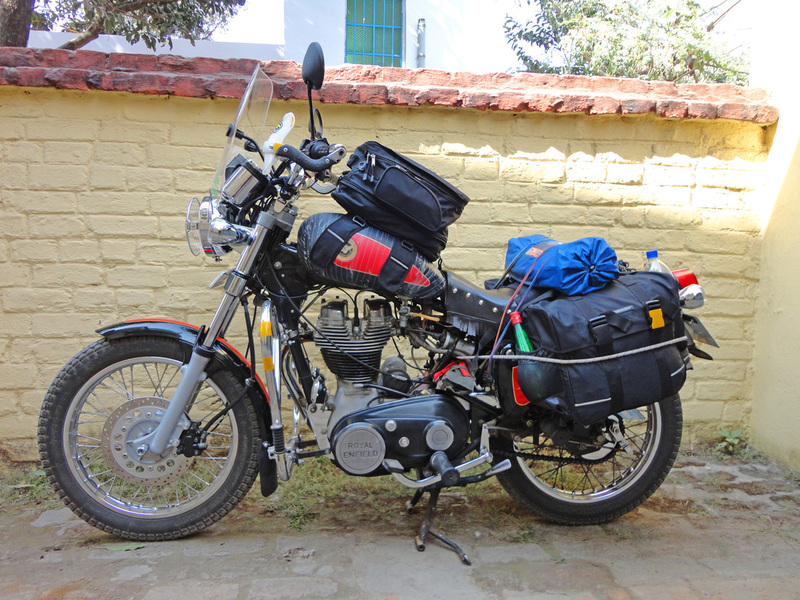 Though the tank-bag looks big, it is filled with light-weight clothes and stuff I would use during the ride. The rear-carrier position shall be utilised to store only the 3.5Kgs Tent(blue) & 1.5Kgs Sleeping-bag, nothing more. Adequate reflective-taping(yellow) has been used at the rear and front of the motorbike, keeping in view low visiblity if caused due to fog/smog. I shall be wearing a hi-viz yellow-grey HJC helmet.